The eight teams will form two divisions – Southwest Division and Northeast Division. Photo: Ben Southall – SMP IMAGES. 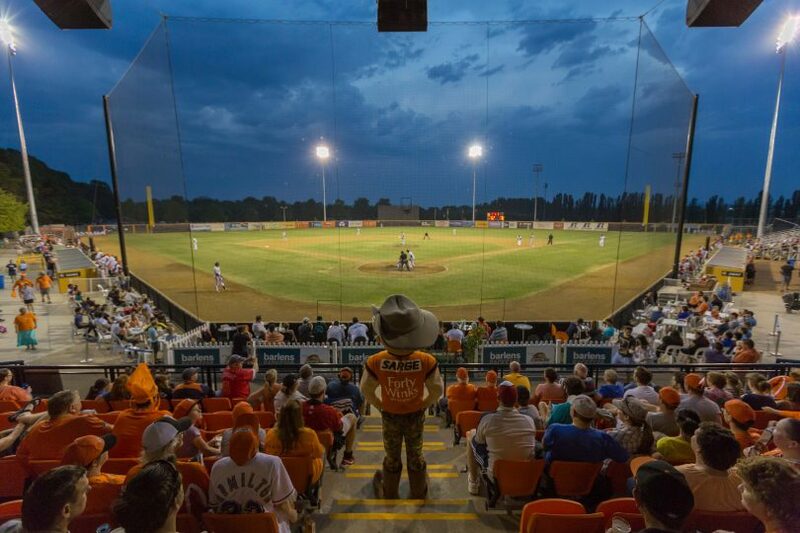 The Canberra Cavalry will take part in a new look Australian Baseball League (ABL) in 2018/19 season with the creation of two divisions to accommodate the new eight-team format. The ABL announced they will use a conference model similar to ones used in major sports leagues in the United States following a Baseball Australia Board meeting last week to determine the league’s structure moving forward. The six already existing ABL teams will compete in the 2018/19 season, along with two new teams from Korea and New Zealand, with the eight teams forming two divisions, Southwest and Northeast Divisions. The Cavalry will join Brisbane Bandits, Sydney Blue Sox and the New Zealand team in the Northeast Division, with each team playing eight home and away games against the other three teams in its conference, with cross-conference teams matching up in a single, four-game series each season. Baseball Australia CEO Cam Vale was upbeat about the league’s potential following the board meeting this morning. “At the beginning of last season, we set ourselves a goal to expand the league by two teams, and we are proud to have achieved that goal,” Mr Vale said. “To have secured two expansion teams for this season is exciting for the sport, the teams and baseball in Australia as a whole. It means more games for fans to engage with, either in-stadium or from their devices. “This season will make sporting history, as Winterball Korea becomes the first overseas team to be based and play in an Australian sporting competition. The Australian location of this team will be confirmed shortly.